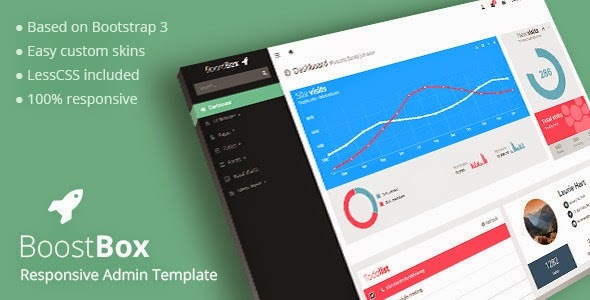 Boostbox is a flat, multifunctional and responsive admin theme built with the Twitter Bootstrap 3.1.1 Framework. Because Boostbox has a flexible layout, different color schemes and a lot of useful components, you can use it for any type of web application. Item Reviewed: Bootstrap 3 Responsive Admin Dashboard Template 9 out of 10 based on 10 ratings. 9 user reviews.